The Nitecore Intellicharger i4 is the ultimate quad battery charging device for multiple battery models such as the 18350 and 18650 series. 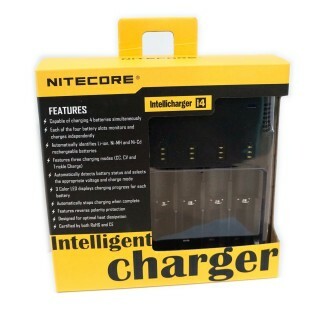 Nitecore Intelligent charger I4 adjustable charger, charges: 26650, 22650, 18650, 18350, 17670, 18490, 17500, 17335, 16340(RCR123), 14500 series batteries. It can charge up to four batteries at the same time. 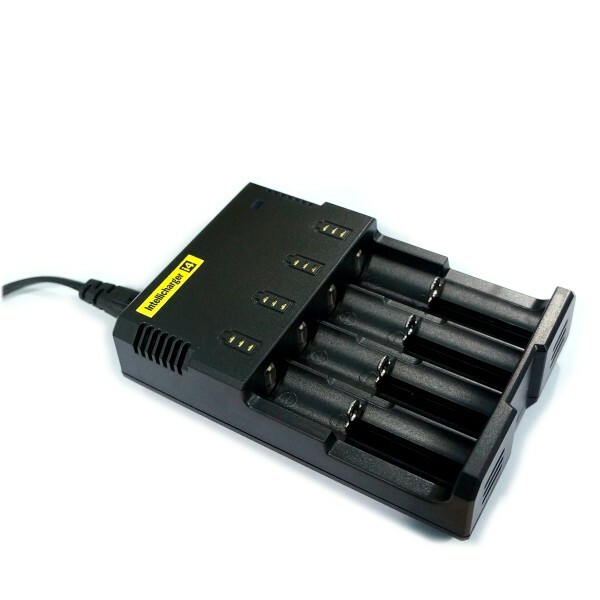 Being one of the highest quality chargers we have ever sold and giving you the flexibility to charge four different style batteries makes this the ultimate recharge station for those who require versatility and dependability. Available in North American wall version only.